Give your bedroom a dose of coastal beauty with the Glen Abbey 3 Drawer Textured White Chest. 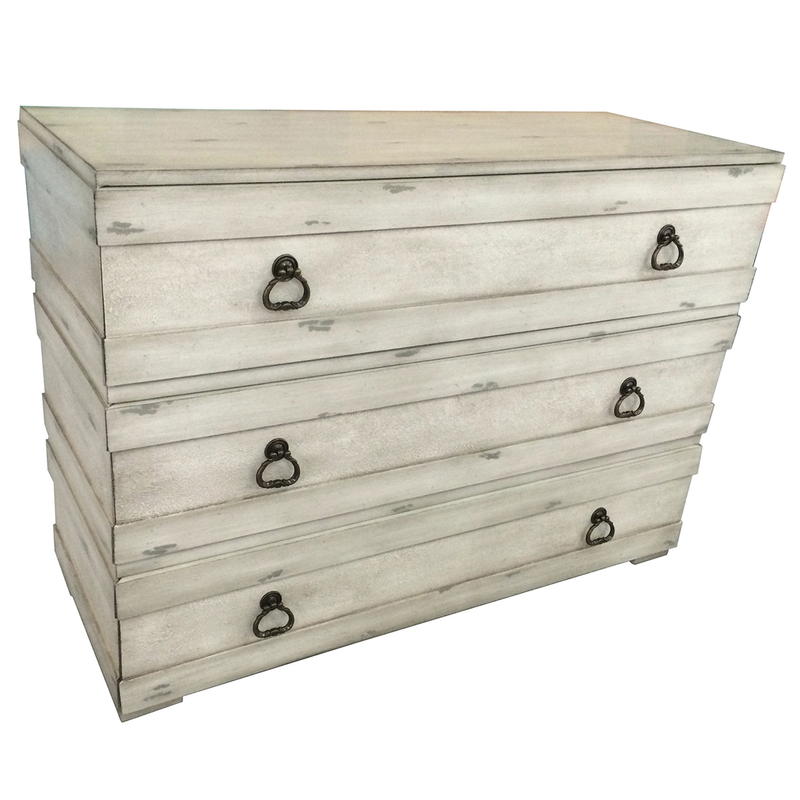 This chest features a sturdy design and textured white finish. Ships from the manufacturer. Allow 1 to 2 weeks. Cannot express ship this beach style furniture. For additional offerings, we invite you to take the opportunity to peruse our complete selection of beach style cabinets at Bella Coastal Decor today.